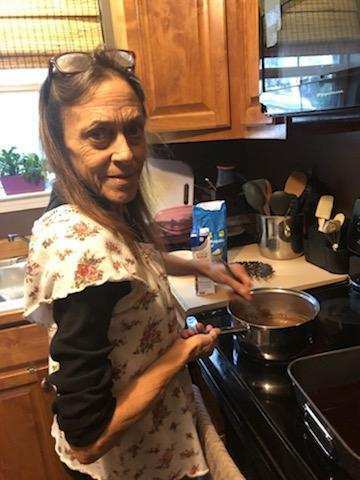 Margaret Jane Bracher, 58, a native of Florida and resident of Alabama, passed away on Friday, January 25, 2019. Jane was a lover of life and living things and gave care to animals, dogs, cats, horses, pigs, ducks, and chickens. She was a gardener with an extraordinary green thumb, an artist of mosaics in paper and tile, a wonderful cook and took good care of everything around her. Jane is preceded in death by her father, Will Lail. She is survived by her husband of 17 years, Ron Utley; children, Robyn Sparks of Silverhill, AL, Cameron Coleman of La Crosse, WI, Jareth Coleman of Panama City, FL, and Cody Bracher of St. Clair Shores, MI; grandson, Simon Roberts; mother, Sandra Lail of Panama City, FL; siblings, Sandi Watkins of Augusta, GA and Sharon Churchwell of Panama City, FL as well as many other relatives and friends. Services will be announced at a later time. Expressions of condolence may be offered at www.hughesfh.com. Arrangements are by Hughes Funeral Home & Crematory, 7951 American Way, Daphne, AL, 36526. Ron I am so sorry for your loss, you and your family are in my thoughts & prayers.